Imposter syndrome. We all suffer from it. Yes, even those super successful entrepreneurs with huge bank accounts. For me, it comes up when I’m casually browsing on Facebook. I stray from my beaten path of cute headshot pictures and friend posts, into seeing what other people in my industry are doing. “You will ultimately fail.” Imposter Syndrome is a tough one to overcome. In this episode I’ll be chatting with Sharon Chisholm about our experiences, about our coping mechanisms. Sharon is an award-winning coach, mental health advocate, writer and speaker. She helps small business owners deal with low confidence and self-esteem, through to mind health issues such as anxiety and depression. She has worked with government bodies and also facilitates workshops on mental health and suicide intervention. Kate: Imposter syndrome. We all suffer from it. Yes, even those super successful entrepreneurs with huge bank accounts. For me, it’s when I’m casually browsing on Facebook. When I stray from my beaten path of cute headshot pictures and friend posts, into seeing what other people in my industry are doing. The brain whispers begin, “They’re doing more than you. They’re so much more respected than you. They were featured here and there and you weren’t.” And pretty soon that turns into, “You’re failing. No one thinks you’re any good. You aren’t any good at what you do, and it’s only a fluke that it’s worked so far. You will ultimately fail.” Imposter Syndrome is a tough one to overcome. In this episode I’ll be chatting with Sharon Chism about our experiences, about our coping mechanisms. 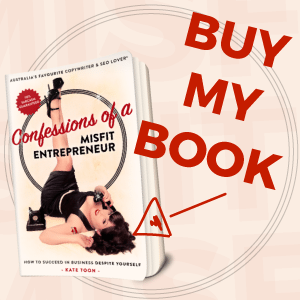 Hello, my name’s Kate Toon and I’m the author of Confessions of the Misfit Entrepreneur: How to succeed in business despite yourself. And with me today is Sharon Chism. Hello, Sharon Chism. Sharon: Hello, Kate Toon. How are you? Kate: I’m very good. You sound very lovely on your new microphone. Sharon: I do. I sound almost professional, don’t I? Sharon: Whoa there. That’s serious. Kate: That was good, wasn’t that? Sharon: It was. It just sounded like you knew what you were talking about. Kate: It did. I read it out well. So, do you suffer from this Sharon? Is this something that keeps you up at night? Sharon: Look, I have. It’s nowhere as bad now as it used to be maybe even just five years ago. I worked really, really hard on that and tried to just really focus on being a benefit to other people. Back in 2010, I’m won a coaching award, and I was convinced that they given it to me out of pity. They felt sorry for me and they thought, “Oh, we’ll give Sharon an award.” I’ve definitely suffered with it. Kate: Yeah. Me too. It’s something that still bubbles up now and again. Those of you who don’t know me and are listening to this, I’m a copywriter. 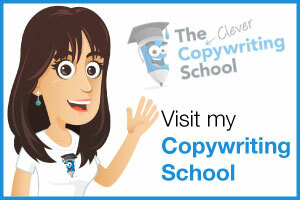 I’ve been a copywriter for many years. I’ve worked at agencies and here I’ve even won a couple of awards. Not many. It’s not like I have a whole bathroom cabinet full of them. None of that seems to matter. And even more unusually I got a membership community of other copywriters who partially joined to community because I’m … I don’t know. That sounded really arrogant. I didn’t know what I was trying to say there. Do you know what I mean though? I mean I kind of put … I’ve actually climbed onto a pedestal and am now sitting on it and now I’m looking at the pedestal thinking, “You’re all wondering why I’m up here, aren’t you?” I think it doesn’t go away. It’s always a little lingering thing and it doesn’t matter really how successful you are. 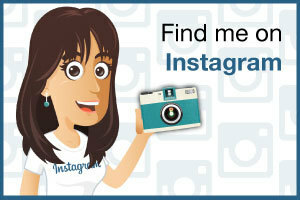 How many followers you have, how many awards you win, how many customers you have, how big your bank account is. It still can bubble up. What do you think is the root of Imposter Syndrome? Sharon: I think really, if you look into the depths of it, it usually stems from a period of time often in our childhood where we felt not good enough. Or we had something to hide, and we were worried about people finding out. And I think we just carry that with us throughout our lives. Teenage years can be just awful at school when you’re comparing yourself to everybody else and particularly now with social media. We look and see that apparently people are earning six figures and working four hours a week. So, we say, “Why aren’t I doing that?” But I think more often than not it comes from our childhood and at some point we have felt that we are inadequate. Kate: Yeah, I think it is that. But I also think there’s a big culture in the moment, especially of faking it until you make it. We’re all encouraged to kind of go out, be brave, dream big, meh meh meh. And put ourselves out there, wherever there is. We’re always encouraged to go out there, aren’t we? And so, we’re all out there, trying to do our thing. Banging on drums. Dreaming big. Shouting from the rooftops and inside all of us would just rather go back to bed and eat crisps and not really do any of this. Some people are naturally inclined that way but I’d say a lot of us aren’t. So, we’re all trying to put our best food forward and our best selves forward. And maybe we’re pushing it a bit too far. Maybe we’re trying to pretend we’re more confident than we really are. Sharon: I quite agree. I find it really frustrating that there is this whole mentality of if you just pretend you’re confident, it will come. Well, for most people that’s actually not the case and the more they try and pretend that it is the worst they feel. The more of an imposter they feel. I think you were right in that there are some people that all of this comes seemingly natural, naturally. They have these fabulous business ideas. And I’m not saying for a second that it’s not damn hard work because it absolutely is. But they don’t seem to have the same challenges that a lot of the rest of us have in that we really struggle with putting ourselves out there. We struggle with believing in ourselves and our ability to do things. And just like you said, your kind of on this pedestal and you think that people are looking at you going, “Why is she up there?” But I think the reality is that the only person wondering why you’re there is you. Kate: Yeah, I think it is. But I do think we all that we all … For example, if you … you’re obviously a mental health advocate. You’ve trained in that, you have certificates and things on the wall. And I’ve got my experience or whatever. But to me, I seem like a SEO expert and to you, you seem like a mental health expert but what we fear more about is I think our peers. If you were put in a room full of chefs and doctors and … or not doctors … chefs and normal people, you’d probably feel more confident. Can anyone tell that this podcast is not scripted? I hope you can’t. What I mean, if you’re put in a room full of normal humans you might feel fairly confident about your abilities. It’s when your faced with you peers. I think a lot of Imposter Syndrome comes up when we want to take that next step. 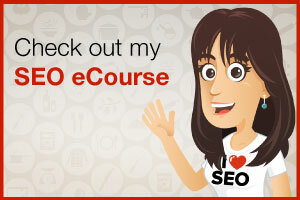 When we want to do or make a course … You know every one needs to have a course these days. We want to teach our skills to other people because we’re scared that someone will do the course that knows more than us. Or when we want to speak at an event because we know that in the audience there will be our peers. Does that resonate with you? Do you feel like that sometimes? Kate: No one can really question that to a degree, can they? Sharon: Yeah, absolutely. And my thoughts and feelings about it are absolutely my own. And though she saying nobody can say, “Well, that’s not true,” because I’ve lives through it. However, certainly when I’m in an arena where there are other physiologists, or mental health nurses and people like that who have a far superior knowledge in terms of clinical evidence and understanding of things, they know far more than I do. And so sometimes, yeah absolutely I feel out my depth with terminology or understanding of how things work for other people. So yes, I do experience it but probably nowhere near as much as other people who perhaps are in your industry. Kate: I think it’s a different challenge because with … Often I look at my experience as two hats, as a messy old person. My qualifications are such that I’ve done it myself. It’s lived experiences you said. I’ve learned the thing, I’ve done thing and I’ve proved that I can do the thing. That’s enough. And yes, potentially I’m not at cutting edge of SEO trying out new techniques and writing Google patents. But again, nor do I profess to be. I think it’s also about where you want to position yourself. If you want to put yourself on a par with a clinical psychologist well then maybe part of you has to be perfectly honest, and the same with me and go, “Well, no I’m not at that level but that’s okay.” Do you know what I mean? We’re not all at the same level. We all have different things to bring to the same table. As long as we’re honest and open about that, then it shouldn’t really matter. Sharon: I completely agree. And certainly being a psychologist or clinician is not at all what interests me. Because I know that the people I work with have clinicians, but they also want someone who’s been through exactly the same and who really gets what it’s like to be in that place. Kate: Yeah, I think it’s really interesting. Sorry to cut you off there. I think it’s something that’s literally just occurred to me right now, we all have our part to play in this … whatever we’re doing. Whether your as I said a baker, or a plumber, or a messy old person or whatever. We all have a role to play. Comparing your role with someone else just doesn’t serve, at all, because they have completely different experiences, qualifications. But there’s still room for all of us. Sharon: Very much so. We can not all be CEOs of big companies. We need managers, we need customer service staff, we need the warehouse people. We need cleaners, because the world has to function. And without people at each different level it’s not going to function. And yes, you can strive to move up a level and that’s fantastic if you want to do that. But it’s also fantastic if you don’t. Kate: Yes. I’m big into that. So, something I talk a lot about in the book. People are often saying to me, “Well, when are you going to take the next step? When are you going to fly to America and start speaking events in America?” Obviously there’s a bit of me, the little ego bit of me that goes, “Well, I’d love to do that.” But also, there’s a lot of me that goes, “I don’t want to. I’m happy with where I am now, with what I’m doing now. ” You don’t have to always take that next step. Aspiration and being inspired by other people is great. But you shouldn’t use that as a stick to beat yourself with like, “This person is awesome, they’re doing great things, look at them on stage. I want to be that.” Really think about whether you really do want to be that because there’s a lot that goes with that, that isn’t fun. I pretty much can guarantee that even that person up on stage has a bit of a cold sweat before they go up on stage. Very few of us are natural Ted Talk speakers, that just go on stage. Not all of us can be Tony Robbins. And that’s okay. Sharon: We aren’t Tony Robbins because that would be scary. Sharon: To keep with all that fist bumping before he goes on. Kate: Is it bumping or pumping? Sharon: Pumping, that’s what I meant. Bumping, pumping its all the same. Kate: It’s very different. I think bumping kind of quite filthy and you shouldn’t say it on … I might not get this podcast on I tunes now because I said that. 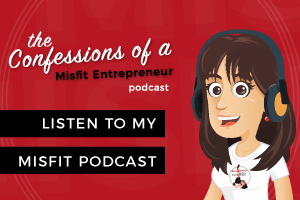 So, one thing I wanted to talk about is we have a lovely little community, the Misfit Entrepreneur Community, which you help me co-manage, co-wrangle, co-torment. Mostly torment. And we pose this question in the group, and I think we’ll continue to do this with the podcast, get feedback from people. And a couple of people put up how they feel about Imposter Syndrome. So, if you don’t mind I thought we might go through a few of them. What you think? Sharon: Let’s do it. Let’s do it. Kate: Let’s do it. It’s all off the cuff people. This is the first podcast. Neither Sharon and I have any idea what we’re doing, if we’re perfectly honest. Sharon: Oh, no change there then. Kate: No, we’re just going to keep on trucking. Is that you barking or is it your dog? Sharon: It’s my dog. I should go and shut her up, shouldn’t I? Kate: No, she can come in. Invite her in. Sharon: She just looked at me blankly. Kate: Well, most people do if you’re honest. So, I was just saying we’re not editing that bit out. It’s staying in. Kate: Awesome. Okay, one of the first comments here … and I haven’t even read these. So I might get halfway through and go, “Why did I start reading this one out?” The first one is from Ian Skellhorn and he says, “I get Imposter Syndrome as soon as I think seriously about something. It’s even happened during writing this. I know what I want to say, and I know a lot of information on what I want to do and have many ideas. But when it comes to starting or putting it down on paper my mind turns to mush. And then you start questioning yourself. So, I think that’s very true. Is Imposter Syndrome like a mechanism in our brain that stops us getting things done? We want to do this task, then our brain goes, “You can’t do it. You can’t do it.” Why does our brain to that to us? Sharon: I think really it’s our brains way of protecting us from failure. That part of our brain is designed to keep us safe. So, we don’t want to go out and explore something new because it’s unknown. We don’t know exactly what we’re doing. We don’t feel comfortable with it. What if this happens? What if that happens? What if we fail? It really is just designed as a defence mechanism. Kate: Yep, I agree. One thing I think is really, really important to do is take that … My mom does this, and I hope she doesn’t mind me mentioning it but she scenariolizes. She’s about to do something, and she comes up with every possible scenario that could happen. Most of which are like, “And we’re all going to fall off a cliff and die,” like scenarios. And I’m like, “Mum why do you do that?” And she says, “If I think through every scenario, when it happens I’ll be ready.” And I’ll be like, “Yeah, but also you’ve wasted all this time investing in these scenarios that may never happen. Where if you just gone on and did it, things would probably be okay.” But it’s a habit we build up on our lifetime. I think a really good technique that is use is I actually go with the scenario. eople aren’t going to throw rotten tomatoes at you, or boo you, or drag you from the stage. You’re just going to say, “I don’t know the answer and maybe we can talk about this later,” and you’re going to move onto the next question. No one else will even noticed that it’s happened. Do you know what I mean? So, actually thinking about the worse case and coming to terms with it is one of the strategies that I use. Does that make sense? Sharon: Yeah, look if I was in the audience, and I asked you a question, and you didn’t know the answer, I in fact would throw a rotten tomato at you. Kate: Would you? You’re a cow. We should’ve established that at the start of the show. Sharon: In fact, I’d just do that any way. Regardless of whether I’d asked you a question or not. I think saying, “I don’t know the answer to that, or I’ve never been asked that before,” is a great way to handle it. When I do workshops, what we do is what we ask every body else what they think about it. And of course you might not be able to do that in a big conference. But certainly if you’re working with smaller groups, you could say, “Okay what does everyone else think about that?” Because you can not know everything about everything. Kate: No, you can’t. You’re not some omnipotent orb. I know you’ve got your new microphone, and you keep banging against it. Could you not do that? Sharon: Do I? I didn’t know I was? Kate: Is it because you took your bra off and things are getting in the way? Kate: Can you tuck them in your socks or throw them over your shoulder or something? Sharon: My bountiful bosom is in fact knocking against my microphone. So, I will endeavour to not do that. Kate: Hold them back. Yeah, I think that’s it. Who asked us to be omnipotent? Who asked us to know everything? And then it’s an opportunity to go off, find out the answer, learn the thing and come back again. But it took me a long time to get to that. When I first started running the course I was like, “They will ask for refunds unless I can answer everything immediately.” Do you know what I mean? It stressed the crap out of me. But now, it doesn’t stress the crap out of me quite so much. Sharon: I think also people like to see that you’re human. Kate: Yeah, that’s true. I mean I’m obviously not a human. But no one needs to know that. I am just a thought recording this. And my Skype keeps making that boop-boop noise, which is really annoying as well. Let’s read out another do-da from the thingy. So, this ones from Sonia Cuff and we’ve talked on this a little bit earlier. “It hits me,” Imposter Syndrome that is, “when I’m in a room of my peers, especially” … I’m not laughing at you. I’m just laughing at … I don’t know what I’m laughing at. “It hits me when I’m in a room of my peers, especially if I’m speaking. It’s not nerves.It’s questioning what the heck do I know? How could I ever teach these awesome people anything? Imposter Syndrome can manifest in a feeling that you don’t belong in a group and that someone will call you out on it.” Yes. It’s that as well isn’t it. Like, they’re all in the group, and I’m outside the group. And I snuck in but someone’s going to suddenly turn around and go, “Oy, she doesn’t even go here. Get out.” Do you know what I mean? I think that’s the tribe thing as well maybe. Sharon: And I can pretty much guarantee that 90 percent, if not all of the people in that group feel exactly the same way. Kate: Yeah. If you go into the group thinking that it makes it a lot better, doesn’t it? Sharon: Yeah, because we’re all just people. We’re all doing the best we can, and we’re all sitting there feeling like somehow we’re inadequate. If we don’t feel that way I think there is a chance of becoming complacent about what we do. Kate: Yes, exactly. You’ll just be a smug git basically, wouldn’t you? Sharon: Yeah, nobody wants to be a smug git … well some people do. That’s probably why they are. Kate: I’d like to be a bit more smug. I think I could be just a tiny bit more smug. I think it would be good. But not top level smug. So, I think that tribal thing is true as well. And going back to the asking a question thing. Clearly when you get up on stage and talk to a room of 200, 300 people the collective knowledge of the room is more than your own. Of course, it is because you are one human. So, you add up all the brains of all those people in the audience, they know more than you. And if you go in just knowing that, that’s fine. I think you gave a great solution earlier, just turning it back on the person, “What do you think?” Does anybody else have an opinion on this? That would make you not look like you’re a crap person who doesn’t know the answer but that you’re trying to get every body involved. It’s a tactic but it’s a tactic I’ve seen many highly paid speakers use very, very well. It’s definitely doable. Can we do another person? Sharon: We can. The door’s just about to slam, one second. Sharon: My door slammed and then I dropped you on the floor. Kate: Who me?] In a minute you’re going to go, “Yeah, we can answer that but I just need to make a sandwich, hang on.” Brilliant. All right you go and do that. So, the next one is from Alicia Goodwin and she says, “I get Imposter Syndrome every time I add a new service or review my prices. Pricing is something that people really get Imposter Syndrome about. I am not worth is money. Have you experienced that? Sharon: Yep, definitely. And it is really, really common. And also it’s really hard particularly when you’re new to business, is working what your prices should be. You look at a whole range of websites, for example, and some of them have been going for 20 years and have massive clients. Kate: Yeah, and I think you’ve hit the nail on the head there. Its those who questions that actually matter. It’s not what your peers and your competitors are charging. So what people do when they want to start pricing stuff is they go straight out and look at what everyone else is charging. But you don’t know their story. Classic example, is if you got a corse and you see someone, “Hey this person’s charging one and a half grand for their course. Look at them it’s great.” You have no idea how many of them that they’ve sold. You have no idea what discounting strategy they’ve used to have that price and then actually undercut it to their waiting list. They could have had two people take that course since it was built. Just because they got a high price and that intimidates you, you don’t know the truth behind it. 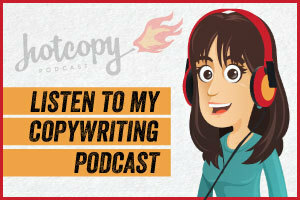 So, I think one thing we do in my clever copywriting community is we have a little spread sheet where everyone anonymously said what they charge for stuff, which is really helpful. But a better strategy can be, how much money do I need to earn each year to cover all my expenses? How many hours do I have available to be me per month to do this thing? How much of that time am I actually going to spend doing the thing and not fanning about on Facebook? Therefore, how much money do I need to earn to make this viable? Then divide that by your hours and that’s your hourly rate. And that becomes your baseline for charging. And if you feel good about that … let’s pull a figure out of our bottoms. Say you want to charge 80 dollars an hour. You feel good about that and it’s going to cover your expenses and you feel happy charging a client about that. It doesn’t make you feel anxious that the client’s going to go, “Hey. For 80 dollars I would expect this.” If it makes you feel good then, bonkers what everyone else has charging. It’s about you and your relationship with your customers. Doesn’t matter. That’s how I approach it anyway. Because otherwise you’re just pulling figures out of the air. It’s not real. Now, my view about that is not everybody can charge 150 to 200 dollars and hour and be paid for it. What about the clients that they particularly want to work with? If they wanted to work the lower socio-economic end of clients, they’re not going to be able to necessarily pay 200 dollars an hour. It’s also about what’s really important to you. What service are you going to be giving? If your ideal clients are corporate CEOs the fantastic. Go away and charge 500 dollars an hour. If your clients are brand new businesses just starting out, and you’re designing logos, charge what you feel comfortable with. Doesn’t matter what you’re charging in terms of what everybody else thinks. It’s really only down to you and what your needs are. 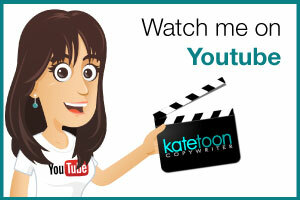 Kate: Yeah, it’s very similar with copywriters. A lot of groups really frown on anybody who offers their services on things like Freelance or on Upwork, because it devalues the whole industry, and it makes it harder for other people to charge decent rates. And yes, that’s true to a degree but also we all have to earn money. And sometimes you got to do what you got to do. “Yes,” you’re too cheap. And if everyone is saying, “No,” you’re too expensive. I’m not going to discount it for you, it is what it is. It’s worth what it’s worth. Some people can pay for it and some people can’t. That’s the truth of anything. We sometimes money associate, especially with ourself, especially if you’re offering yourself as a service. It’s harder. If you’re offering if you’ve made something, you can look at the custom materials, and the time it took to create it. But especially if we’re offering advice or something intangible like that. I think that can be harder. I really do. It’s a tough one. But my advice Alicia, and Sharon’s as well it seems, is to just do what’s right for you. Stop worrying about what your competitors are charging. Make sure you can make a good income. And just increments if you put it up, like 10 cent a year or in line with inflation. Every year you’re one year more experience, you can put your prices up. You’ll lose some clients but you’ll gain others. Keep going. It is a bloody nightmare but it is doable. We’ve got another here from Jenny Delacy. And Jenny De lacy says, talking about Imposter Syndrome, “Someone commented in another group, ‘I do what you do.’ And then immediately I go and check that person out. Two things happen in fire succession when I see other people’s stuff. I think every they’re doing is better than me. They have more numbers. They’re production is better. They’re kicking goals and I’m a friendless loser. But equally, I’m just as unattractive as the ugly competitive beast in me that says, ‘My content is so much better than yours. How dare they put themselves out there and get more [inaudible 00:29:45] than me.’ So, neither energy is welcome or useful. If possible, I just don’t look.” What do you think of that? By looking at what everyone else is doing we immediately can compare ourselves to them. Kate: That’s crazy, isn’t it? 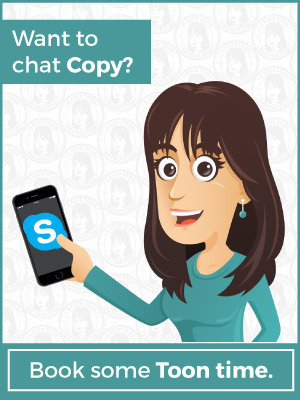 I talked about this in next week’s episode, which I’ve already got recorded about copycats. How we wouldn’t know if we were being copycats if we didn’t look. We spend so much time looking and we think it’s competitive research. ou just feel yucky afterwards and a bit depressed and a bit down and questioning everything you’ve ever done from the day you started doing it. Why do we do it? It’s just this compulsion. Do you just think it’s to keep ourselves safe? You think that’s why we torture ourselves like this? Sharon: I think so. Let’s be honest, if you came away from looking at whole other load of people websites thinking, “Oh my goodness, I am so much better than all of these people.” I’m not sure that’s a great character trait either. Kate: Yeah, it is. I mean it’s hard because we’re always talking about one of the ways to deal with most business problems is to stay in your lane. To put your blinkers on. To focus on your own business and your own customers. But we can’t live in complete isolation. We reach out into Facebook groups and other things and networking groups to make a connection with people. By doing that we are then vulnerable to seeing people who are doing better than us. People who make us feel inferior. It’s hard. You can’t completely stop looking because you’d be a hermit. Sharon: But it’s not the people who’s making us feel inferior, it’s us. Sharon: We all ready feel that way. We are just looking for evidence that proves the fact that we are not as good as those other people. We’re flawed and we’re failing. And it’s like we have established in the misfit group, most of us have exactly the same feelings and thoughts as everybody else. We’re all worried that we’re inadequate. We’re all worried that we’re not doing as well as everybody else. But the fact is there isn’t an everybody else. Kate: And I mean that people … people often come to me and say, “I loved the book and I’ve done this and you’re doing so well or whatever.” And it’s lovely. Obviously nice and flattering. But on the flip side I’m sitting here on the other side of the computer stressing out about this, that and the other. And that’s why I think it’s a great vibe we created in our little group of just being honest and saying, “Actually today I had a terrible day and this happened.” It’s so important to be honest. I think that honesty kind of does chip away at that Imposter Syndrome. When the person you’re feeling inferior to actually admits, “Well, actually I feel a bit crap about that too.” It’s hard to still feel inferior to them. It makes it easier. The pedestal gets chipped away until they are on the same level as you. I’m sure you’re the same as me like through our public speaking … if you do get to meet a lot of your heroes, I’m sure you’ve met a lot of your heroes. Kate: Maybe one or two is actually been a smug-goon, but most of them are terribly flawed human beings. And open about it. Sharon: I think it’s only by being open and real about what’s going on first that we can actually connect with other people anyway. While definitely living at that surface level of, “Everything’s a-okay. My life’s okay. I’m kicking goals. I get up every day a six o’clock full of the joys of spring. I work until 10 o’clock and life’s perfect.” No, sorry that’s rubbish. It’s not perfect because it’s not perfect for anybody. And we’re trying to pretend that it is we’re not able to connect with people. It’s really all about connecting with people. That’s one of the fabulous things the group is that we do talk about these issues and how we’re Sometimes people say to me, “Oh, you seem like you really got a handle on you mental health. Kate: That is true of anybody. There’s a story I tell in the book, if any of you remember it. But I went to this big event and everybody there’s was like the super successful … different league to me. Hundreds of thousands of followers and huge … And also all very willing to talk about it. One particular character talked about it a lot. I was just sitting there trying to eat soup silently and hope no one would look at me. Then later I actually got to talk to this person and they turned around to me and were like, “How have you managed to do this? How is that going? Well, my things going okay but actually, the last couple of years hasn’t been going so okay.” I was absolutely floored. I sat there thinking that this person was an absolute knob. And in reality, they were just grandiose. We all do that as well. We show off sometimes. We show our … totally know this. Everyone knows this. Social media. We all edit our lives. We all curate our lives to show our best bits. And business pages are even worst for it. The more that people can go, “Yes, I sold out my course. But you didn’t see me screaming at my computer at 2 am this morning because I couldn’t get that thing to upload and then crying and then … Yes, that was the great end result but there was struggle along the way.” Well, look I think we’ve dealt with Imposter Syndrome. I’m not sure it’s something you can press a button and fix. I think it’s like an armour that you slowly build up over the years. It’s like a Teflon coating. It just slides off a bit more. But I also think it’s natural. I think you said something earlier that really stuck home with me, it shows we’re human. It shows that we want to improve ourselves. Be better people. 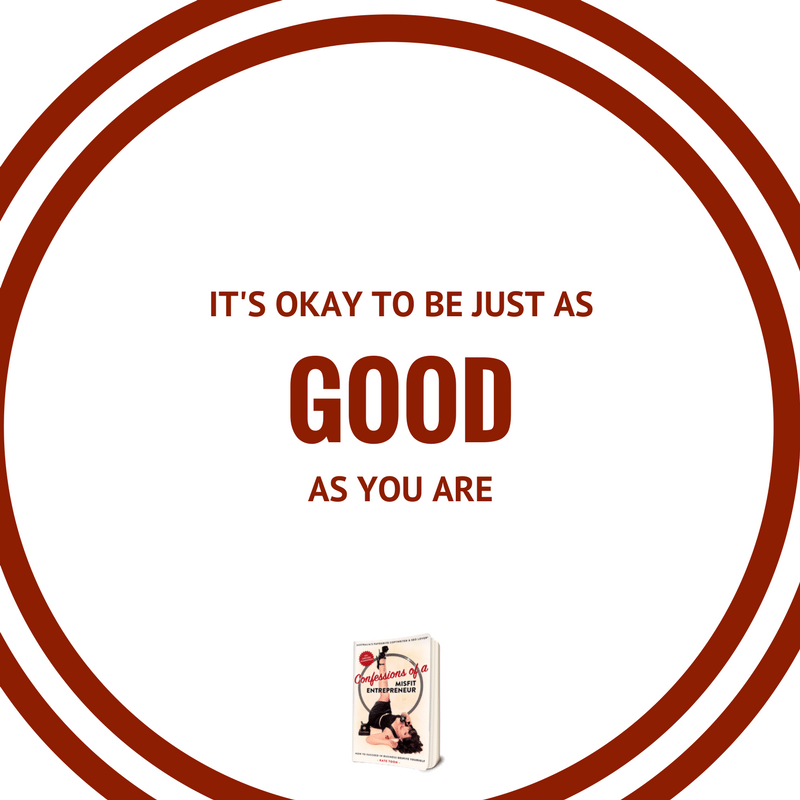 But also it’s an important point to go, “It’s okay to just be as good as you are.” We’re not omnipotent perfect beings. And that’s okay. Sharon: We just got to wipe away all those shoulds. I should be the kind of person that wants to have a multimillion dollar business. I should be the kind of person that wants to employ staff when in reality, you might not be. Kate: Exactly. The reality of running a business is actually god-awful and pretty hideous. I think the speaking example is a great one. I really wanted to do that this year and then I did it. And I was lik, “I really don’t want to do this.” I mean I’ll do it now and again, but it’s a hard life speaking. You just had a couple of weeks of it. Of being away from home, staying in hotels, standing up on stage and adrenaline’s going, you’re prepping. It’s a lot of work. Be careful what you wish for people. 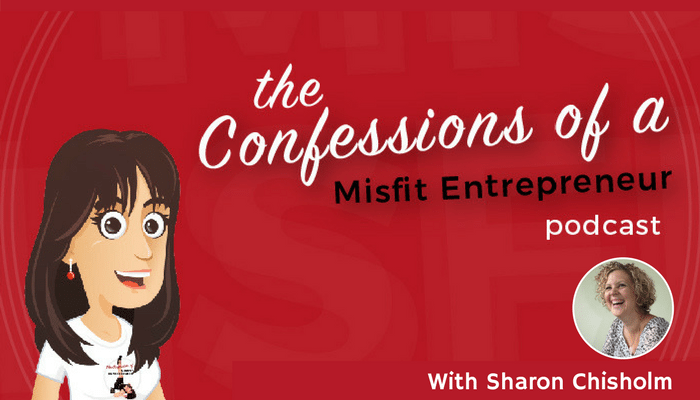 Thank you so much for being on the very first of eipsode of Confessions of a Misfit Entrepreneur. Sharon: Woo-hoo. It was awesome. Thank you for inviting me. Kate: I couldn’t have thought of anyone better. Hopefully I’ll have you on again and again. We’ll have an idea to do an ask Sharon segment on the show. But I feel like maybe I’m just going to have you come one again and again and just talk about stuff. Sharon: That sounds awesome. But, just remember people, I don’t have all the answers. Kate: No, and sometimes she doesn’t wear a bra. These are two important things to know. Well thank you very mush Sharon. I’m going to say goodbye. Sharon: My pleasure lovely. You take care.